Version 9.05 has been released for all current users of Version 9. Please refer to the full notes about version 9.05. 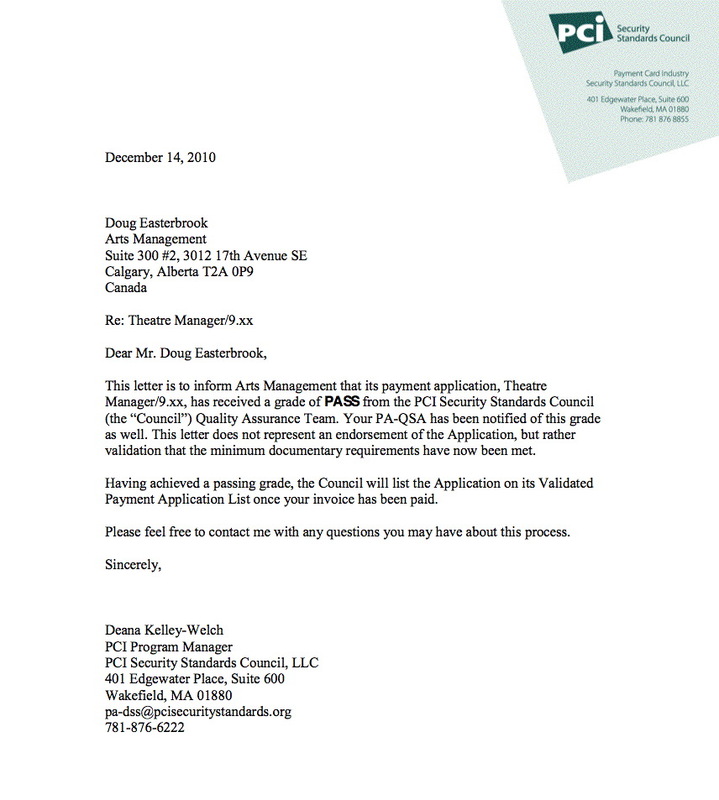 Theatre Manager is officially certified PCI DSS 1.2 compliant. After months waiting in the queue for final review by the PCI council, one change was requested, implemented and final approval received on December 14th. Facility Management continues to evolve in response to the feedback from the user community. Look for improvements in the look of the calendar, improvements in calendar filters, reorganized screens and more transparent integration between the Gantt chart and the calendar. This version also brings the initial implementation of estimating, invoicing, billing and posting to the G/L for the sales/booking of rooms, resources, and staff. During our day long internal staff training session, it became quite apparent just how comprehensive and useful this module would be to many venues. As always, there are other changes contained in the release notes, bug fixes, minor usability enhancements in response to what people ask for. There is one new web feature you've asked for which is to support acknowledgement of 'reading conditions of sale' prior to checkout. This is a walk-around install.